As connoisseurs of fine typographic art and poster design, we are especially taken with this brilliantly creative and hilarious take on the ‘stupid side’ of technology. 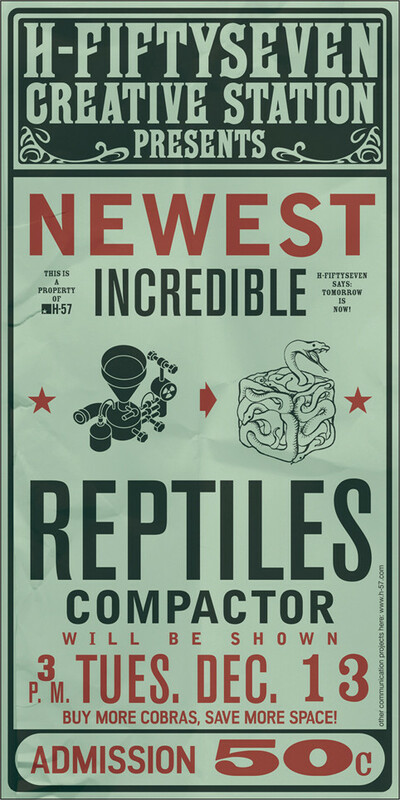 Sharp and tongue-in-cheek, these witty posters from the always excellent H-57 creative studio, apart from being an entertaining read, also make for some very aesthetically attractive and interesting typographic styles. 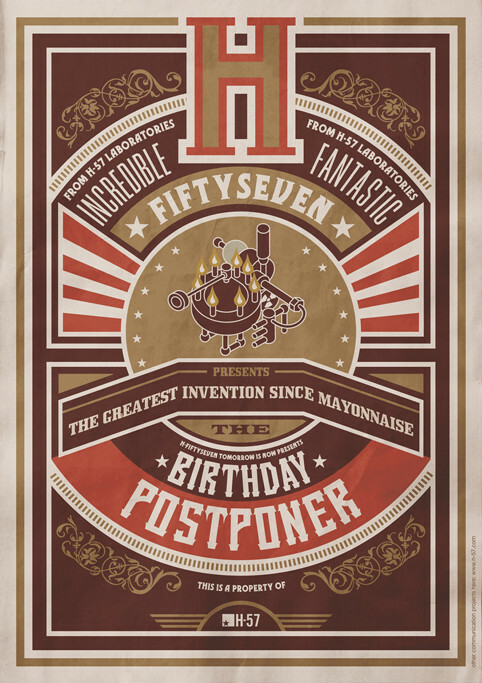 The posters advertise fictional inventions which illustrate, through their sheer lack of necessity, the extravagance and indulgence modern technology can be guilty of. This visual set makes an excellent companion to the similar subject of technology’s many pitfalls, brilliantly and stunningly explored in Sight, a satirical short film that is both a very cleverly executed concept, as well as a visual treat to behold, as we have previously seen here on The Unlearner. 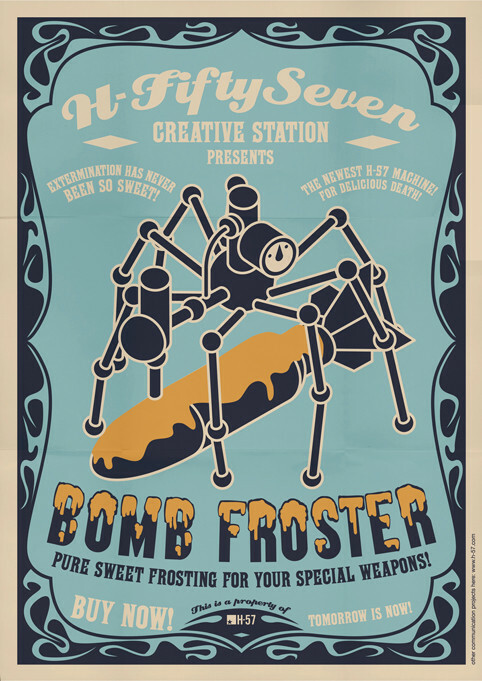 The Bomb Froster – Extermination Has Never Been So Sweet! 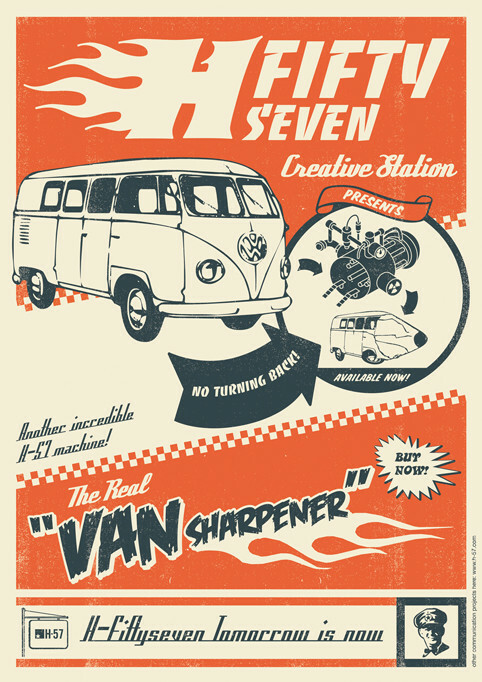 The Van Sharpener: No Turning Back! 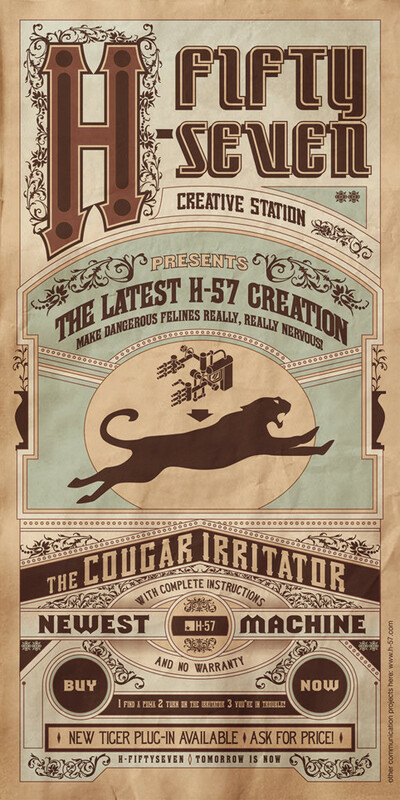 The Cougar Irrigator: Make Dangerous Felines Really, Really Nervous! 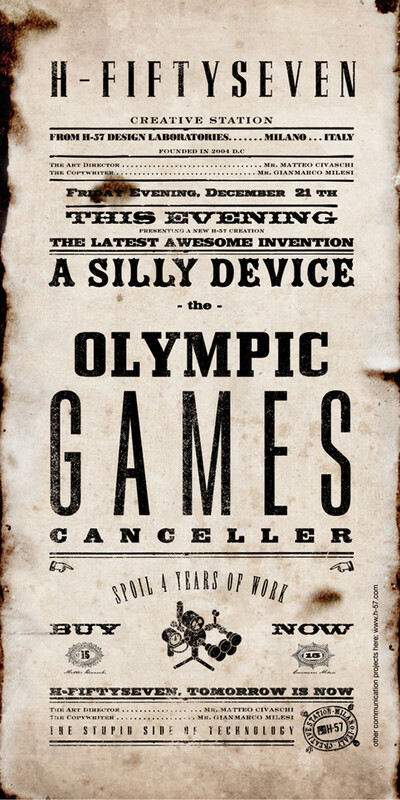 The Olympic Games Canceller: Spoil 4 Years of Work! 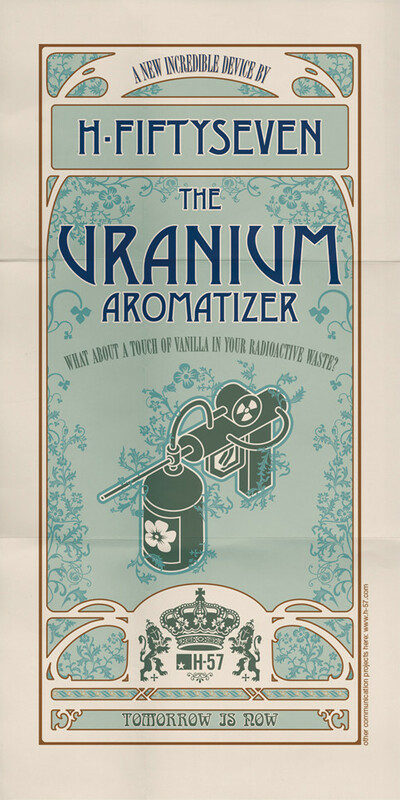 The Branium Aromatizer: What About A Touch of VAnilla In Your Radioactive Waste? Pictures (c) H-7 Studio. The posters can be originally viewed here.